"I've seen this raw strength only once before. It didn't scare me enough then… it does now." It's time to begin the next chapter. Disney + Lucasfilm have released the full-length official trailer for Star Wars: The Last Jedi, the next film in the ongoing Star Wars saga. Get ready to be wowed. Directed by Rian Johnson, this film continues the storyline started in The Force Awakens following Rey, Finn, Poe, and Kylo Ren. Daisy Ridley returns as Rey, with John Boyega, Adam Driver, Oscar Isaac, Mark Hamill, Carrie Fisher, Gwendoline Christie, Domhnall Gleeson, Lupita Nyong'o, Peter Mayhew, Andy Serkis, and Warwick Davis. Newcomers include Benicio Del Toro, Laura Dern, and others. This looks so unbelievably amazing, such chills watching this trailer. Tickets are now on sale in all formats as well. Ready? You can still watch the first teaser trailer for The Last Jedi here, to see even more footage from this movie. Having taken her first steps into a larger world in Star Wars: The Force Awakens, Rey continues her epic journey with Finn, Poe and Luke Skywalker in the next chapter of the saga. 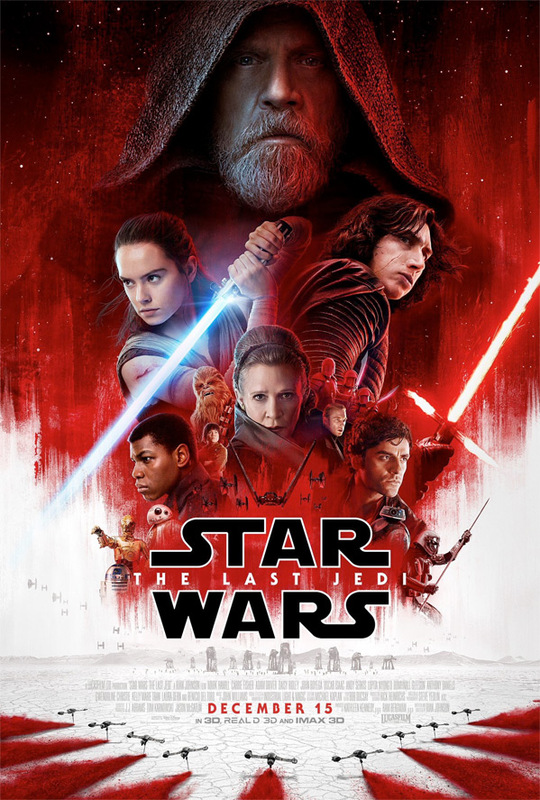 Star Wars - Episode VIII: The Last Jedi is directed by American filmmaker Rian Johnson, of the films Brick, The Brothers Bloom, and Looper previously, as well as a few episodes of "Breaking Bad". The screenplay is written by Rian Johnson, based on the characters created by George Lucas. Featuring cinematography by Steve Yedlin (The Brothers Bloom, Looper, Carrie, San Andreas), production design by Rick Heinrichs, and music by John Williams. It was produced by Ram Bergman, and Kathleen Kennedy at Lucasfilm. Disney will release Rian Johnson's Star Wars: The Last Jedi in theaters worldwide starting December 15th later this year. How does it look?